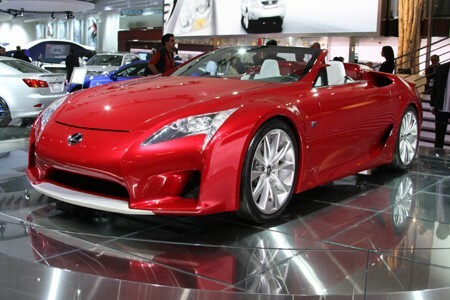 Summer is coming up and Lexus has just made it in enough time to reveal their new roadster the LF-A. The Lexus LF-A is probably one of the most hottest cars that I’ve seen out in a long time but I’m not pretty sure if it’s worth the money. Lexus has said the first number of the car’s price will be a “2,” and Inside Line has word that the car might run $225,000. That is more than either a Gallardo or an F430 Spider, including European delivery and two weeks of vacation in Via Reggio. The LF-A convertible will cost even more.